MADINDA is back at Highlanders! One could wake up to this headline any one of these days. Oh what a beautiful feeling for any and all that like to enjoy watching their favourite football team claim the odd title here and there. Or those of us who thrive on seeing a raw talent develop into a class player. More than a few fanatics and pure football lovers are waiting with baited breath for "the Chosen One", for the club to officially confirm his return and then unleash another Josta or a new coterie of unknown wannabes that will thrill and pacify the restive Bosso clan and, as history has proven on more than one occasion, probably be ripe enough to win a premiership title within two years of their debut. This has happened twice already at Highlanders but Madinda himself has never been around long enough to see his projects across the finish line and lift the coveted title. Rahman Gumbo and Eddie May each won two titles with teams initially assembled by Madinda in 2007 while Methembe Ndlovu also benefited from the "Chosen One's" knack for building championship teams. The appointment of Madinda Ndlovu as Highlanders' new coach is one that will inspire the club's fan base, and for Simon "Yola" Munawa and some of his associates at the club, his arrival will surely bring much uneasiness. For this group of players, Shacky's arrival represents the end of the road. Yola knows all too well what it's like to play under the burly legend, a man who does not brook any form of ill discipline and lack of commitment as has been exhibited so often by the midfielder. 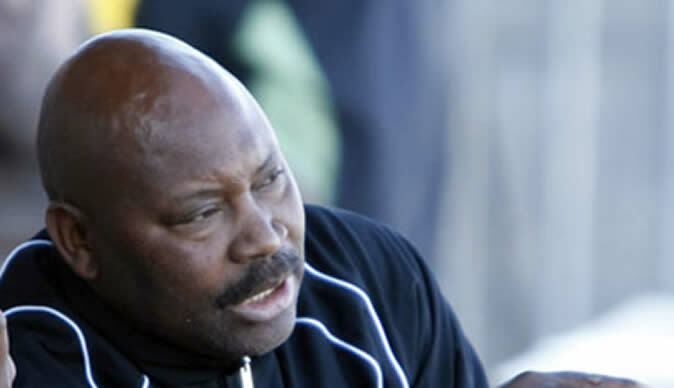 The older players like Ralph Mathema and Allen Gahadzikwa are also likely to be shown door by the man many credit with assembling Highlanders' championship winning sides later managed by Rahman Gumbo and Methembe Ndlovu during his previous two spells with the former giants. Highlanders finished 25 points adrift of league winners FC Platinum, winning 13, drawing eight and losing 13 games en-route to a sixth place finish that flattered the floundering Bulawayo side. Kutsanzira looks highly unlikely to sign a new contract and will therefore move on a free transfer next summer. A move to FC Platinum is very likely, although Ngezi Platinum Stars have also been linked with the skilful forward. Yola is a very good player on his day, but reports of bar fights, drinking binges, ill-discipline and a general lack of commitment has damaged his career. Now considered a problem child, Munawa cannot survive in Madinda's team. The new 'Guvnor is a man known for his unbending demand for discipline and a more than average work ethic, tools that Yola seems to have shed along the way. Generally a disciplined lad, Mathema is nowhere near the form that made him the darling of the Highlanders faithful. He's lost more than a yard in pace and looked out of sorts more often than not in this year's campaign. Though his leadership qualities are beyond reproach, his footballing qualities are no longer as sharp as they used to be. By now it's pretty clear that it'd be best for all parties if Ngulube was replaced at Highlanders. The player himself would benefit from a fresh start elsewhere, and Madinda must upgrade the area of his team. Highlanders won't be winning the title with Ngulube and Simon Munawa in their central midfield. A monumental DUD, the Democratic Republic of Congo national came, got paid and watched football! If Erol Akbay was a cattle rancher, he would surely have bought sheep at an auction instead of prime stock: such was his lack of foresight when he signed Ebabali at the beginning of the season. The Congolese's only contribution was being gracious enough to allow Bosso to pay him for not playing. Others likely to leave . . .
Hughes Tambwe Kalunga is, amazingly, still a Highlanders player and can be found training with the team from time to time. The player surely won't be remaining at the club.